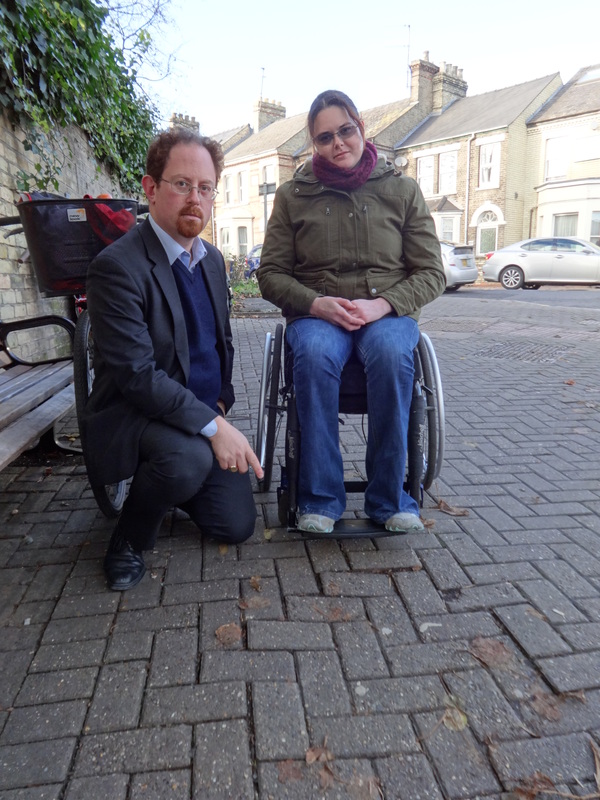 Paralympic hopeful, Claire Connon will take Cambridge MP Julian Huppert and councillors on a wheelchair tour of the city on Friday (November 30) to highlight the state of the pavements. Rower Claire, who is tipped for a place in the 2016 Rio Paralympics, will give the group first-hand experience of how difficult it is to navigate cracked and broken pavements in a wheelchair. Claire, who lives in Cambridge and rowed for the University’s Robinson College while studying there, will take Julian and councillors to the city’s pavement trouble spots starting from the Guildhall. She fell out of her wheelchair twice in 10 days in Cambridge, the second time landing on her wrists which could have ended her rowing career before it had even started. “It isn’t until you experience using a wheelchair around the streets of Cambridge you realise how uneven they are,” she said. There’s the obvious great big holes, but also small dips with slightly raised edges that, in my wheelchair I don’t notice until you’ve hit them and then the trouble and accidents start. Julian is collecting signatures on a petition calling for more investment in pavements and a website www.fixourpavements.co.uk will be launched on Friday where people can pinpoint trouble spots on a map. The petition will eventually be presented to Cambridgeshire County Council at Shire Hall by Julian and Claire. Julian said: “Our pavements are a disgrace and they are dangerous for the elderly and the disabled. There are virtual no-go areas across our city for wheelchair users who find it extremely difficult to navigate around the broken and cracked paths.